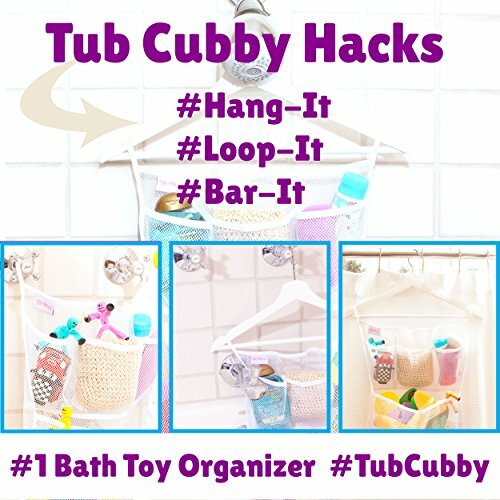 Organizing the Tub Cubby Way – Look Mom I can Clean Up All By Myself! 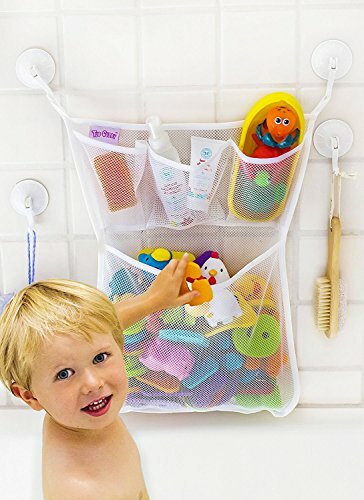 Never have to ask your child to clean up their bath toys with this fun organizer. They will want to do it all by themselves! 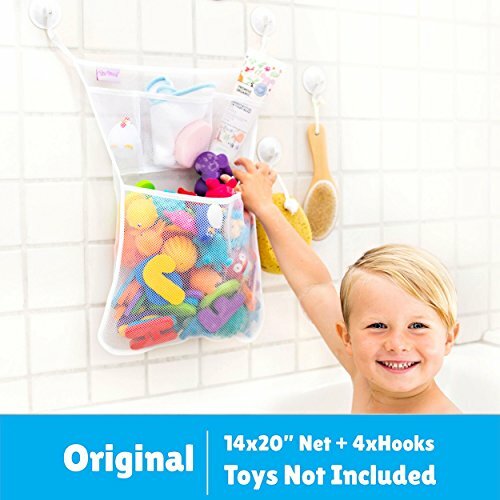 Great for organizing all of your child’s bath toys, but it also has many other uses and can be used everywhere including your closet, car and is great for travel. Pre-pack your child’s bath toys and shampoo or your makeup and toiletries. 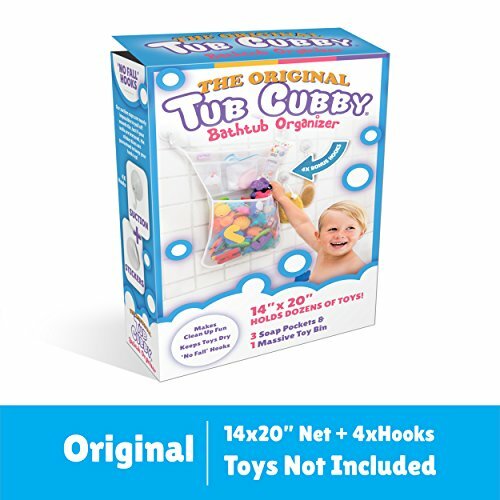 The four pockets allow you to store bath toys like Alphabet letters and squirting tub toys like our Tub Bubbies in the large bath toy bin pocket. The three upper bath caddy pockets can store soap and smaller toys. NEW FOR 2017 Some walls are too porous for suction cups so we invented special double sided adhesive discs to stick your hooks to any wall. 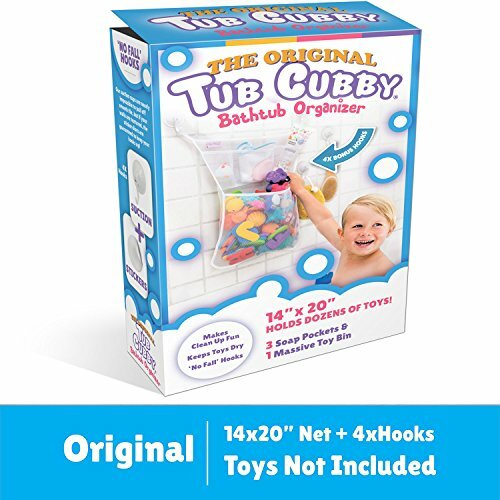 Why order our Tub Cubby Bath Toy Organizer? 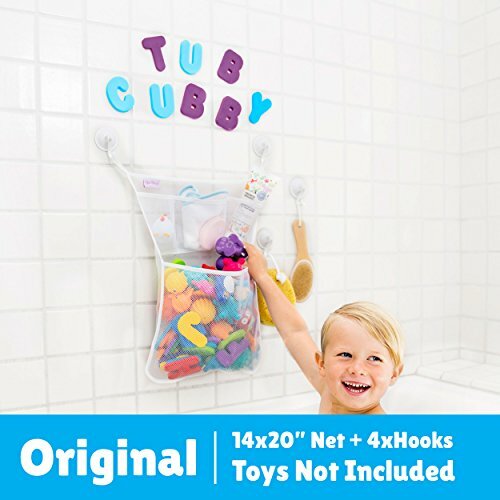 The Tub Cubby has 4 pockets to reach the ultimate in organizing potential, 4 Heavy Duty Lock Suction Cups, High Quality Netting that will hold pounds of toys and now 3M Adhesive Discs for porous walls. 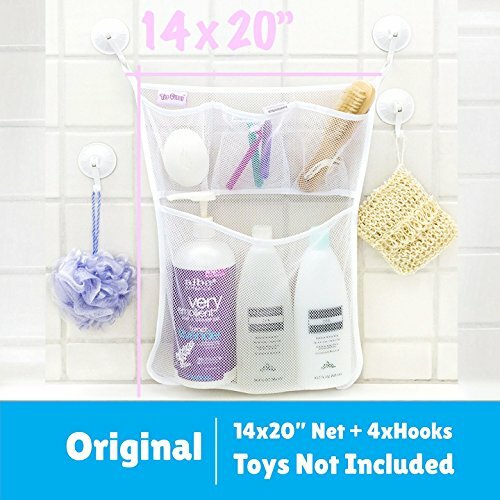 The mold free mesh net is like a hammock for toys, soaps, shampoos, brushes etc. 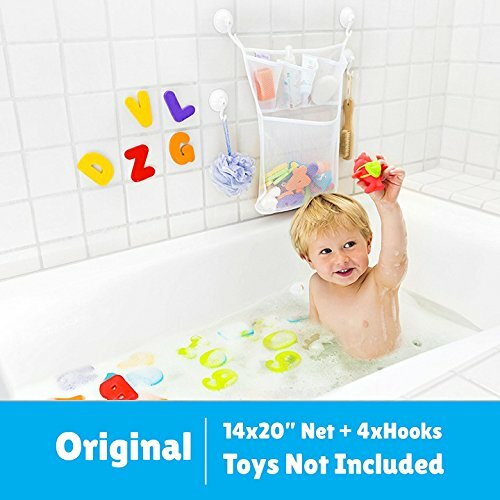 ENGAGE SUCTION CUPS BY FACING HOOKS UP Then flip the hook down to engage suction.KIDS LOVE TO ORGANIZE BATH TOYS – Both Boys & Girls love to play the scoop up game and put their small bathtub toys into the big basket. NOTE TOYS ARE NOT INCLUDED WITH THE ORIGINAL. 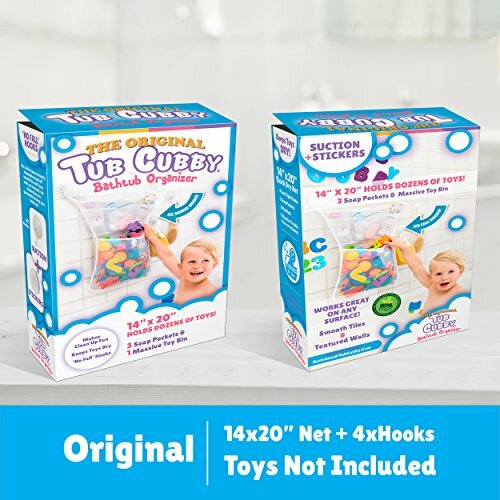 UNLIKE OTHER FLIMSY BATHTUB TOY BINS -that rip and fall apart, the Tub Cubby’s quick dry mold resistant mesh net is double stitched and guaranteed for life. 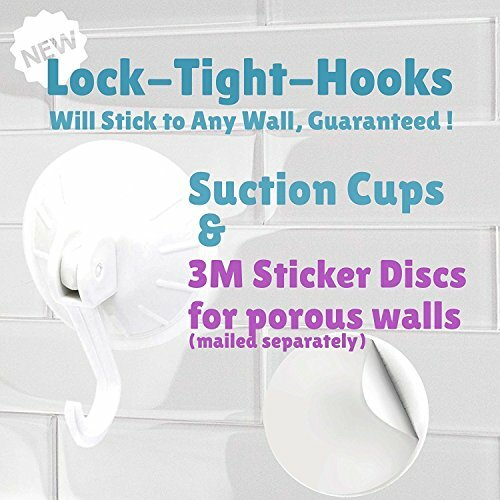 500 + 5-STAR VERIFIED REVIEWS – All agree it’s nearly impossible to pull our Lock Tight Suction Hooks off smooth walls, but if you have textured walls our 3M Stickers are guaranteed to stay up!